Devin Patrick Kelley, identified as the gunman behind the deadliest mass shooting in Texas history, should not have had access to firearms, according to the Texas governor. Kelley was discharged from the military after being court-martialed after a count of assault on his spouse and on his child. Both felony charges and domestic-violence charges should legally prohibit someone from buying a gun, but it’s as yet unclear whether Kelley should have been able to legally purchase a gun. Devin Patrick Kelley, the man authorities say killed 26 and injured 20 in the deadliest mass shooting in Texas history, should not have had access to firearms, according to Texas Gov. Greg Abbott. Kelley had been denied a licence to carry a gun in Texas, Abbott told CNN. A former airman with the US Air Force, Kelley, received a “bad conduct” discharge from the military after charges of assault against his spouse and child led him to be court-martialed. Military members dishonorably discharged cannot legally purchase a gun, but Kelley’s bad-conduct discharge falls just short of that mark. It’s unclear if Kelley’s assault charges constituted domestic violence, but such a conviction could have also legally disqualified him from gun ownership. But even if the assault charges didn’t technically go down as domestic violence, assault alone can be treated as a felony, which should preclude gun ownership. And even if the charges didn’t go down as felonies, the twin charges carried a maximum sentence of over a year in prison, and therefore should preclude gun ownership. The federal government’s firearm transaction record, which buyers must legally fill out, asks about felony convictions. Kelley bought a Ruger AR-556 rifle, used in the attack on the church in Sutherland Springs, Texas, in April of last year from an Academy Sports & Outdoors store in San Antonio, a law-enforcement official told CNN. The purchase of the gun took place two years after Kelley had been court-martialed, imprisoned, and discharged from the military. 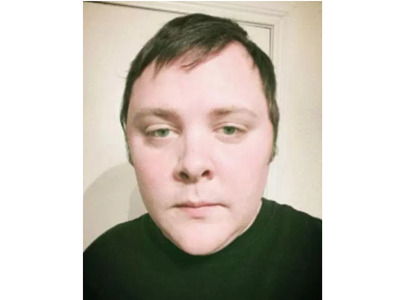 Wearing black tactical-style gear and carrying that rifle, Kelley entered the First Baptist Church in Sutherland Springs and opened fire on the churchgoers. “You’ve got your pews on either side. He just walked down the center aisle, turned around and my understanding was shooting on his way back out,” said Wilson County Sheriff Joe D. Tackitt Jr., whose territory includes Sutherland Springs. Tackitt added that there was likely “no way” for churchgoers to escape after the shooting started. The victims of the shooting range from 5 to 72 years of age. Kelley fled the scene when confronted by armed citizens, whom he then led on a high-speed chase. Authorities found Kelley dead in his car several miles from the scene. Editor’s note: An earlier version of this article mistakenly said that Devin Patrick Kelley received a dishonorable discharge from the Air Force, which would have constituted a felony and made it illegal for him to purchase a firearm. He received a “bad conduct” discharge.